RODNEY CROMWELL’s debut gig at The Victoria in Dalston turned out to be a fitting reunion of ARTHUR & MARTHA, a quirky duo whose only album ‘Navigation’ in 2009 was a promising debut. The work of electronic music enthusiasts Alice Hubley and Adam Cresswell, the long player’s highlight was ‘Autovia’, a synthetically motorik soundtrack that was ideal for motorway journeys north of Watford Gap. Since then, Hubley has formed the indie band COSINES while after a musical break of several years, Cresswell has returned as RODNEY CROMWELL. The lo-fi aesthetic of ARTHUR & MARTHA is still very much in evidence on his recently released debut album ‘Age Of Anxiety’. The live performance in July saw Hubley joining Cresswell on a Moog Rogue, while the frontman brought along his trusty Korg MS10. Utilising a combination of vintage synths, computer backing, bass and guitar, the show climaxed with ‘Black Dog’, a part duet with Hubley. The lengthy, but tremendous closer of ‘Age Of Anxiety’ has now been released as a single with an accompanying video. 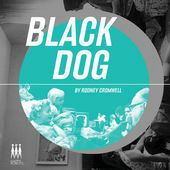 Possibly one of the best songs of 2015, ‘Black Dog’ recalls the pulsing post-punk miserablism of SECTION 25 and is embellished with the beauty of Cresswell’s Hooky bass. Of course, ‘Black Dog’ not actually about a dark coloured canine. 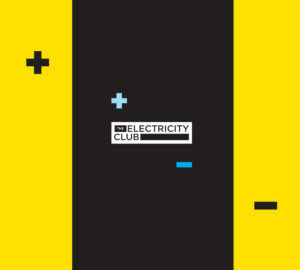 Of the album, Cresswell told The Electricity Club: “It’s all broadly linked to experiences in my life over the last ten years; themes of love, loss, depression, redemption”. As with NEW ORDER’s ‘Temptation’, despite the inherent melancholy, there is an optimistic light at the end of the tunnel that makes ‘Black Dog’ a most joyous listening experience.